Bitcoin Cash rose an impressive 15.6 percent, after falling from $1,000 since the weekend. Bitcoin, Bitcoin Cash, and Ethereum experienced a few changes since Monday, with some rising to new heights and others dipping down. As reported by Business Insider, both Bitcoin and Ethereum, the two biggest cryptocurrencies, have seen a single-digit percentage drop, while Bitcoin Cash has seen a double-digit rise. 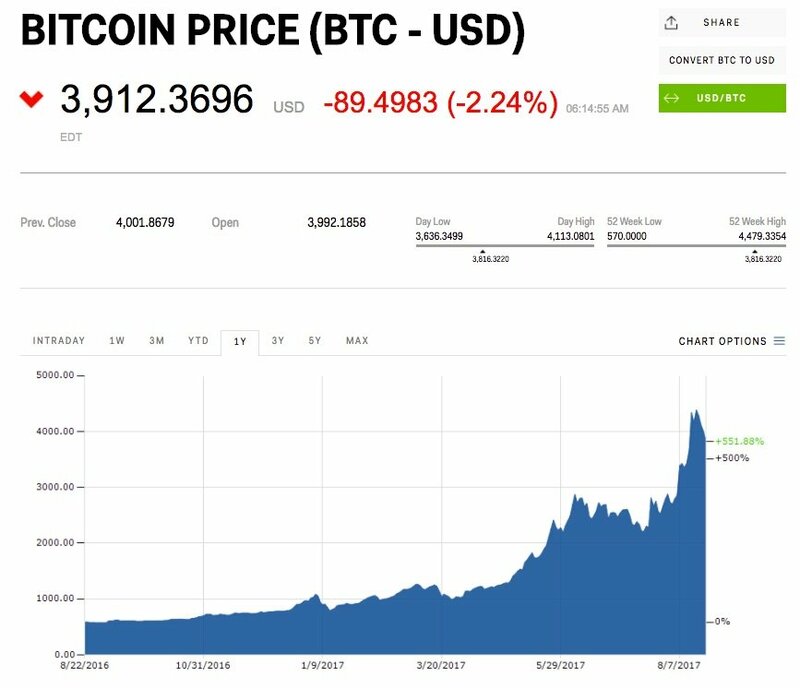 Bitcoin dropped 2.2 percent against the US dollar as of Tuesday morning, and is now valued at $4,004.67. Ethereum, which recently announced its Metropolis update, saw a slightly larger drop than Bitcoin, dropping 3 percent to $310.32. This drop continued the currency’s struggles to hit $350, and it’s unclear how the Metropolis update will further affect Ether token prices. Although Bitcoin Cash only split from Bitcoin very recently, at the beginning of August, it quickly became the third-biggest cryptocurrency in the world. Compared to the top two, Bitcoin Cash rose by 15.6 percent, to $696.39. As impressive as this may be, Business Insider notes the young currency managed to top $1,000 last weekend, but skepticism about it’s staying power caused it to fall sharply. Expect prices to fluctuate, as they often tend to do, especially when regarding Bitcoin. Trusted trader masterluc predicts the top digital currency will hit $15,000 by the end of 2017.